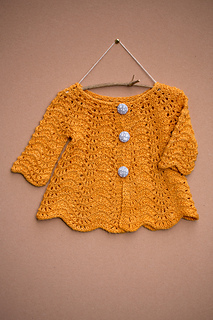 A tiny version of one of Ysolda’s most popular women’s sweater designs. 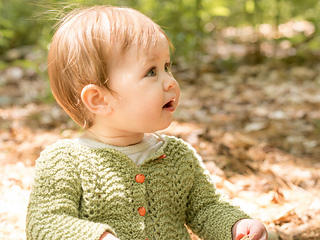 Liesl is a round yoked cardigan worked from the neck down in a simple allover feather and fan lace pattern. 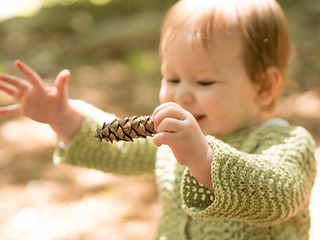 Shown in a luxurious wool and silk blend sportweight yarn that’s surprisingly easy to care for; Liesl would be beautiful as part of a special occasion outfit but it’s just as at home playing on the forest floor. 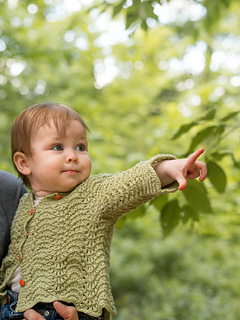 This simple, flexible cardigan can easily be customised. The sleeves can be worked to any length, try making them short for summer, and the buttons can be placed just at the top or all the way down. 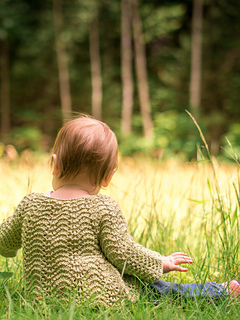 Five sizes are given to fit babies and toddlers from newborn to four years. The swingy shape and stretchy pattern mean that it can be worn a little long to begin with: maximising wear for recipients who seem capable of growing several inches overnight. 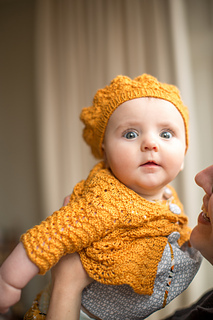 The wee Liesl beret is included with this pattern.